It is highly likely that you have taken aspirin at least once in your life. It might have been intended as a way to alleviate your flu symptoms, or maybe to deal with a bothersome headache. Aspirin is a very common medicine of choice in such cases, and there are millions of people who believe it is a very effective drug. However, in the recent decade researchers have become alarmed about the potential negative aspirin side effects. What’s more, some of them claim that aspirin does not even work at all, and it’s whole “effect” is nothing more than a combination of the placebo effect and a successful marketing campaign. The Canadian Health&Care Mall experts team is taking a closer look at aspirin to find out whether it is indeed a go-to medication for many minor health issues (and a powerful way to prevent heart disease), or just a useless and potentially harmful pill taken daily by thousands of people all over the world. Aspirin is a drug that is most commonly used as a painkiller for mild to moderate aches, such as toothache, stomach cramps, headaches, and arthritis pains. It can also reduce fever, which is why it is often used to help patients who suffer from a flu or a cold feel better. 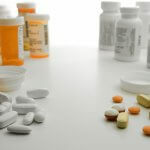 In addition, some people choose to use aspirin as a way of preventing numerous health issues, such as a range of cardiovascular problems and blood flow disorders. People who have suffered a heart attack often take aspirin to minimize their chances of experiencing another one. There is even a version of aspirin for dogs available on the pharmaceutical market, so you can see that aspirin really is a popular medication. Aspirin works by blocking cyclooxygenase, an enzyme in the human body which triggers the production of prostaglandins. In their turn, prostaglandins are responsible for contributing to the sensation of pain when an inflammation or injury occurs in the body. This is a useful alert mechanism which shows people that something in their bodies is going wrong and needs attention, but tolerating the pain is not always easy (and necessary), so aspirin is used to reduce the unpleasant painful sensations. The appropriate dosage of aspirin varies from person to person and is usually determined by a healthcare provider. Patients who need or choose to take aspirin on a daily basis often resort to using “baby” aspirin – a special form of aspirin which is basically the same as the regular medication, except that it comes in a much smaller dosage. Four baby aspirins are equal to one regular pill in dosage, so it is a lot more convenient for people to take the smaller pill rather than split the “adult” aspirin tablets. The side effects of aspirin are usually rather mild and include feeling nauseous, vomiting, experiencing heartburn, and having stomach pains. These adverse reactions generally go away on their own and do not require medical attention. Aspirin allergy is quite rare, but it could have some dangerous consequences, so do not hesitate to seek professional medical help if you suspect you might be experiencing an allergic reaction to aspirin. There is also one particular reason why aspirin became so popular in medicine, and it is directly linked to its ability to inhibit the production of prostaglandins. One of them, thromboxane, is produced in blood cells known as platelets.The platelets are always present in the blood and can be used if there is an injury and the body has to stop the bleeding. In that case, the platelets are glued together by thromboxane, the blood becomes coagulated, and the bleeding stops. 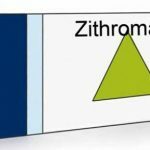 This ability is incredibly useful in case of injuries and other emergencies, but when everything is going fine and the body does not need to stop any bleedings, the production of thromboxane does not stop. As a result, blood clots may be formed in the long run, which may eventually lead to clogging up the blood vessels, consequent cardiovascular problems, hypertension, and even strokes. Aspirin is one of the few substances that have the capability to completely inhibit the production of thromboxane for an extended period of time. This means that the platelets have enough time to “unstick”, unclog the blood flow, and not be a cardiovascular risk factor for the foreseeable future. A common measure to limit the amount of thromboxane in the blood is to take baby aspirin once a day 10 days in a row. Even this small aspirin dosage is enough to cease thromboxane production for the 10 days while taking the medicine, and for a further 10 days after the treatment is over. However, according to some recent studies, aspirin’s ability to make the platelets become “unglued” together may only be part of the reason why it is so effective in preventing cardiovascular disease. Scientists have found that aspirin is also capable of reducing inflammation in the arteries. This, according to medical evidence, leads to a decreased risk of a heart attack and some other heart problems. The researchers are still unsure about the exact reason behind this phenomenon, but they agree that the beneficial effects of aspirin for the cardiovascular system are not a myth and should be used widely in modern medicine. Some researchers and medical practitioners claim that aspirin is virtually useless for the body, and its impact on an aspirin user’s health has more to do with the placebo effect than any real benefits. They refer to several studies conducted back in the 1990s which indicate that the benefits of aspirin are comparable with those of a simple placebo pill. Other healthcare professionals claim that the benefits of aspirin are real, but they are overrated, and the long-term side effects are potentially more harmful than the diseases aspirin treats and prevents. The Canadian Health&Care Mall experts have conducted a thorough research of studies, patient reports, and other medical information available online to find out whether aspirin is really seen for what it is in modern medicine. While some recent claims about the ability of aspirin to prevent cancer do seem far-fetched (or maybe these claims just need more research to back them up), there is definitely a significant amount of information indicating that aspirin is able to prevent heart disease and help people who are already suffering from it recover. According to numerous patient reports, aspirin adverse reactions are generally safe, but long-term usage of aspirin can lead to negative consequences, such as stomach irritation (eventually leading to stomach ulcers) and thinner blood (can be dangerous in case of a serious bleeding). 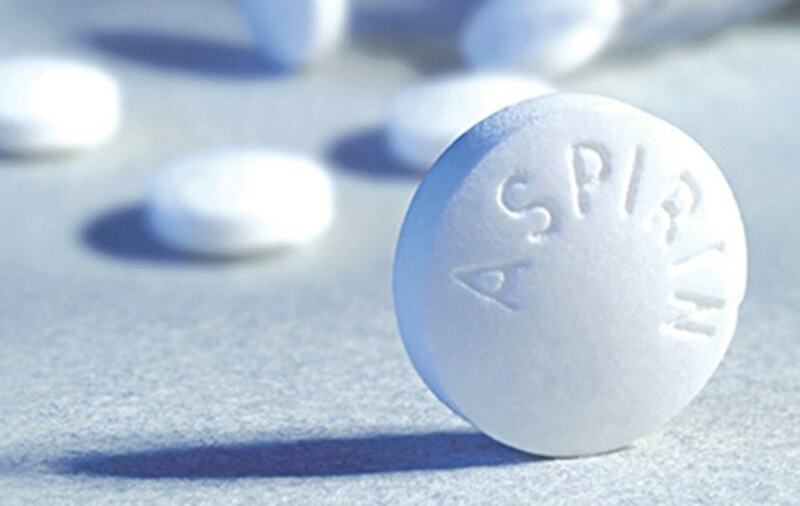 As a result, most healthcare professionals (including the Canadian Health&Care Mall team) agree that reaping the long-term benefits of aspirin involves a higher risk of suffering from other health issues, and do not advise to use aspirin on a daily basis. The Canadian Health&Care Mall experts have come to the following conclusion: while the beneficial effects of aspirin are well-documented and highly unlikely to simply be a placebo effect, the “aspirin a day” rule might be somewhat of an exaggeration. Using aspirin on a regular basis for extended periods of time is not recommended for the vast majority of patients, and if you absolutely have to do so, it is only to be done under careful medical supervision.